My son is a HUGE fan of sitting in his Bumbo seat and I am too because it keeps him in one place, it is a safe place for him to play and eat and it will grow with him! 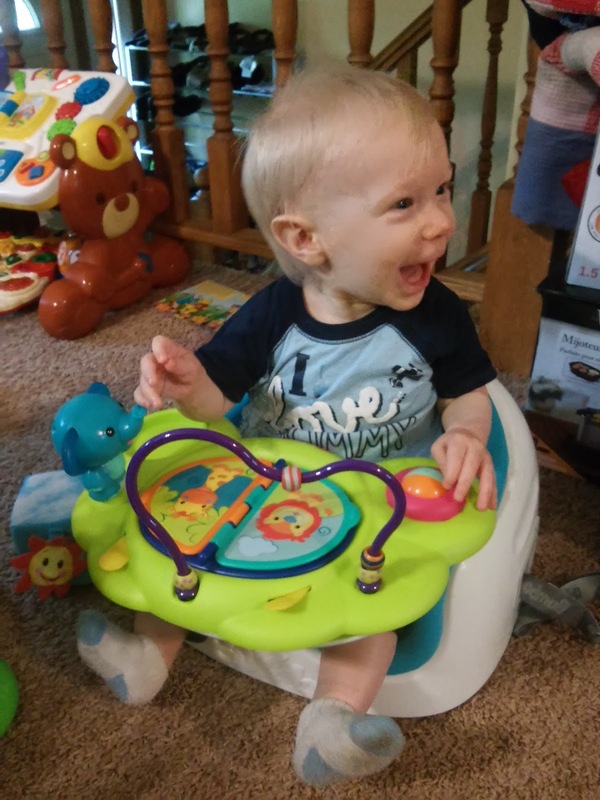 But one thing I have always struggled with when my son is sitting in the Bumbo seat is staying entertained! 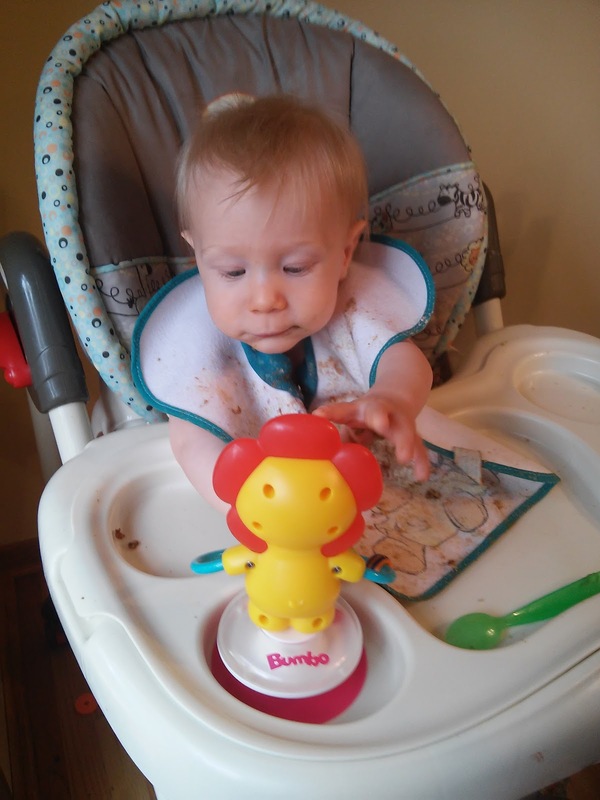 I would love for him to play in it more and now he does because the award-winning Bumbo product line has grown and this month adorable new safari-themed toys debuted at Target stores nationwide! They are great for creating cherished bonding moments with your child. My son is finally really, really content to sit in his Bumbo while I make supper, do some chores or just need to give my arms a break! 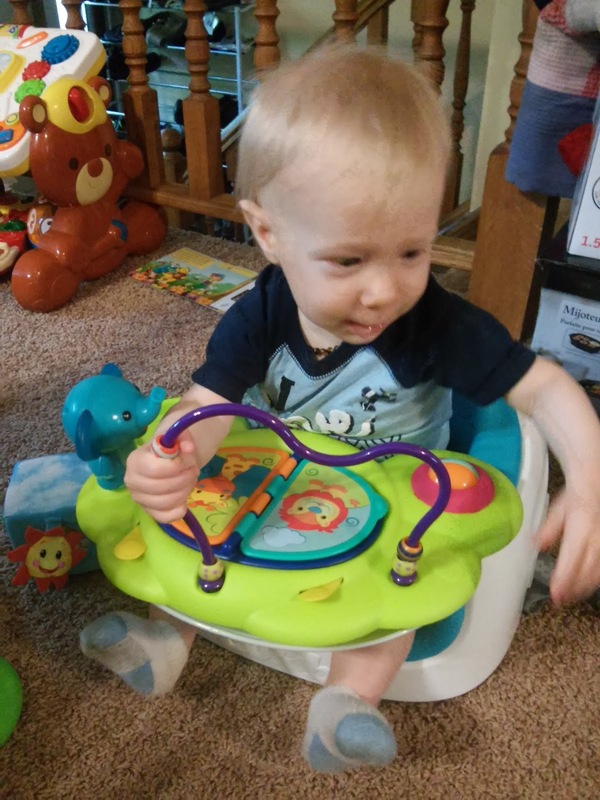 He loves playing with this tray on his bumbo or on any surface! 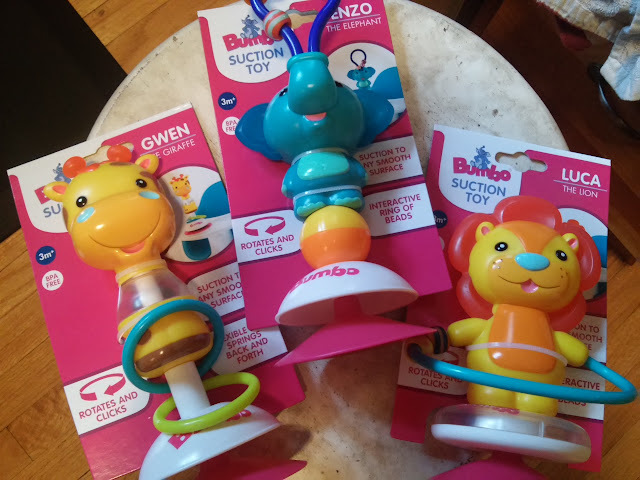 The new Bumbo Suction Toys include Enzo the Elephant, Gwen the Giraffe and Luca the Lion and they suction onto any smooth surface for playtime. They include rattles and bead mazes to intrigue baby, and soft areas for teething. These are so great for any surfaces including the stroller, high chair, or Bumbo tray! He loves all three and plays with these all the time!